Feels like it took forever, but here it is, folks! 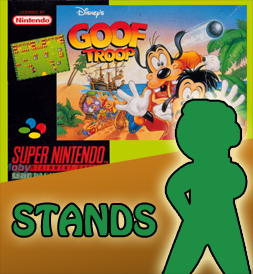 While the vast majority of games that I've been playing catch-up on are "sitters" (which makes sense, since they were the games that just slipped under the radar first time around) occasionally there's a new gem that slips through, and this week it's Goof Troop. 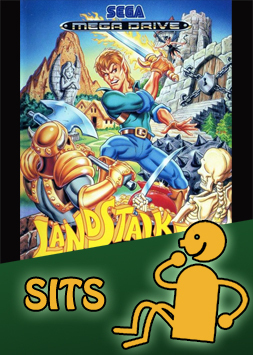 Sure, it's super-short and super-easy, but it's one that I'd be happy to play again, preferably with another player. 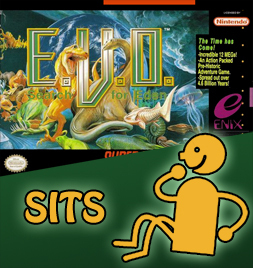 It's a shame, I had so much footage of the weird and wacky creatures I evolved into during E.V.O., but I just couldn't fit them all in the video. Oh well. Even though I dissed Elizabeth and Luigi in the video, I have finished Bioshock Infinite and I'm about 3/4 through Luigi's Mansion 2. Both fantastic games in their own right. I found the over-reliance on shooting highly regrettable in Bioshock, in a very similar manner that I would get frustrated in the Uncharted games, when you're getting involved and immersed in the story and suddenly the game would say, "Stop the story. Now just shoot at people for a few minutes. Survived? Good. Back on with the story." I just feel it could have been so much bigger than it currently is, simply because they feel like they HAVE to make it a shooting game for it to sell well. Disappointing, but the experience of playing it is still worth it. Luigi's a lot of fun too, in a slow-paced, exploration kind of way. So how about that counter, eh? Incredible!! Thanks for visiting. Feel free to leave a comment and say hi! i guess goof troop never hit "down under". it was pretty big in the states in the 90's (or whenever i was a kid). keep up to vids boss. great work. omg i just read your comments about uncharted i i COMPLETELY agree. i played uncharted 1 for the first time about 2 months ago and ended up staying up all night playing the first game all the way in one sitting of 8ish hours, first time i ever did that. i bought the second one the next weekend, got stuck after about 4 hours at a 'shooting' part, and just never went back because it annoyed me so much. story should win in a game like that, not shooting. Ironically, the only game in the Uncharted trilogy that I haven't finished yet is the first one, because it's the only one that doesn't have a "super idiot's easy mode." Not saying that this mode caused me to never die, but for games like this (and Bioshock Infinite as well, I played the whole game on super-easy) I'd prefer to just get the shooting segments done and out-of-the-way as quickly as possible. The last thing I want to do is die and have to do them ALL OVER AGAIN!